It’s a bird… it’s a plane… no! 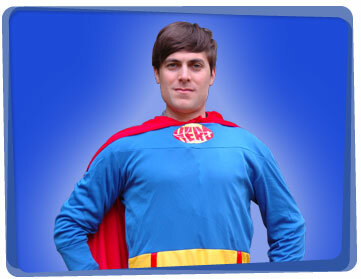 It’s a Yabadoo Superhero for hire! Our caped crusaders are saving kids birthday parties from despair all over Melbourne and they want to come party with you! 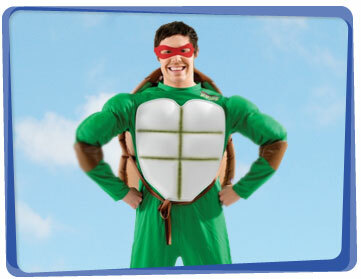 During the magic show, the kids will be taken on an epic adventure by our super heroes for hire, full of fun and excitement, where everyone puts up their hands to volunteer. 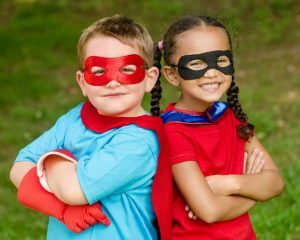 Yabadoo Superheroes for hire will also entertain the children with lots of superhero birthday party ideas like: face painting, balloon art, games (such as pass the parcel), a treasure hunt and lots more. As a treat for the birthday child, our entertainer will create and present a specially crafted balloon to them during the magic show. Whether you require one or many of our services, we would be delighted to help. Our Melbourne superheroes for hire can cater for your next event, whether it’s a children’s festival with roving entertainers, a stage magic show or a backyard kids party. We’re happy to help! This is a fun superhero party game idea you can play on your child’s next birthday! Glue images of villains onto plastic soda bottles or empty cans. Each superhero gets a chance to beat the villains by throwing tennis balls and knock the cans down! Add more fun to the game by making the superheroes shout out words like “Bam! Kapow! Zap!” while throwing the balls at the villains.